Don't fancy cooking today? 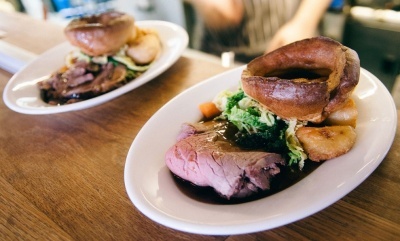 Leave the washing up for someone else to do because we’ve grouped together all the best places to get a Sunday lunch in Leeds… Tired from the partying on Saturday night? Wanting a good old roast dinner to fill your socks? Well fear not, be it chicken, lamb, beef or pork you can get just about anything you desire in Leeds. Of course if you know the right places to go. The Midnight Bell, 101 Water Lane, West Yorkshire, LS11 5QN. 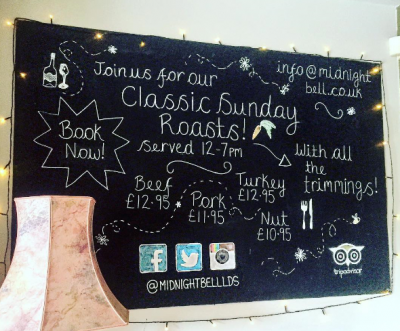 The Midnight Bell is a popular spot for the most admired meal of the week, if you’re wanting the perfect place for a Sunday dinner then you might just want to book ahead! Big roasties, creamy mash and Yorkshire puddings served with your choice of meat whether it’s their 28 –day aged topside of beef, turkey crown or pork loin. Vegetarian? Not to worry as they also offer a vegan nut roast and a vegetarian mushroom, creamed leek and hellfire wellington! If you can be sure of anything it’s that they are not shy with their gravy and variety of vegetables. 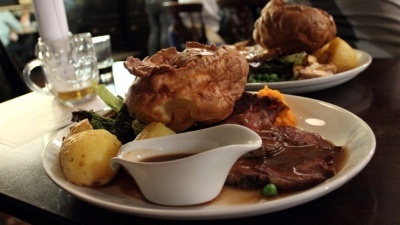 Voted for the finest Sunday lunch in Leeds! 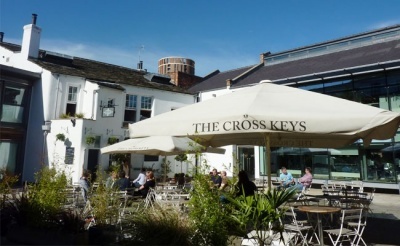 The Cross keys is definitely one of the best and you will want to book in advance and get there early to avoid missing out! With an excellent assortment of meat, you can choose from pork, beef, lamb and nut cobbler all served with the finest trimmings including homemade roast potatoes, a medley of veg and the most important ingredient, the Yorkshire pudding. Whitelock’s Ale House, Turks Head Yard, Leeds, West Yorkshire, LS1 6HB. Hungry and looking for a loaded plate of goodness? Well seek no further as Whitelock’s Ale House serves fresh, locally sourced food with generous portions of meat and veg! It’s one of the oldest pubs in Leeds but it can match any of these new comers as it bargains a tremendous range of meat mixed with plenty of veg including carrots, greens and roast potatoes. In terms of your choice, you’ve got the roast top rump of beef, loin pork with crackling, shoulder of lamb or half roast chicken! Deciding will not be easy! For a laid back lazy Sunday afternoon you need to visit The Reliance. Their Yorkshire puds and roast spuds will not fail to impress your taste buds, they are served with your choice of rare breed beef, succulent shoulder of lamb or loin of Gloucester old spot pork. A veggie option is also available, their nut roast with all the trimmings can be tempting for some meat eaters as well! Sides can also be added to your main dish, we suggest trying the chilli and hazelnut butter, greens and the Chantenay carrots. Gaucho, 21-22 Park Row, Leeds, West Yorkshire, LS1 5JF. We saved the more luxurious lunch until last. Head to Gaucho’s for something a little different and lavish. This is the deal breaker as you can choose from 2 courses at £24.50 or 3 courses at £27.50. Something a little light to start maybe some corn cakes or sticky rib tacos? You will then be tucking the roasted sirloin of beef or roasted free range chicken. 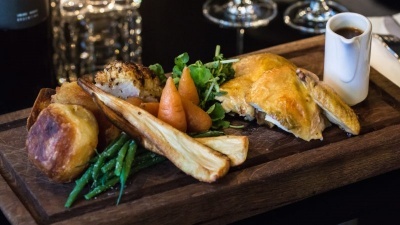 The Gaucho Roast is served with roasted potatoes and a Yorkshire pudding cooked in beef dripping. Escorted by carrots tossed in Churrasco marinade and broccoli. Served with oodles of red wine gravy. We can hear your tummy rumbling!